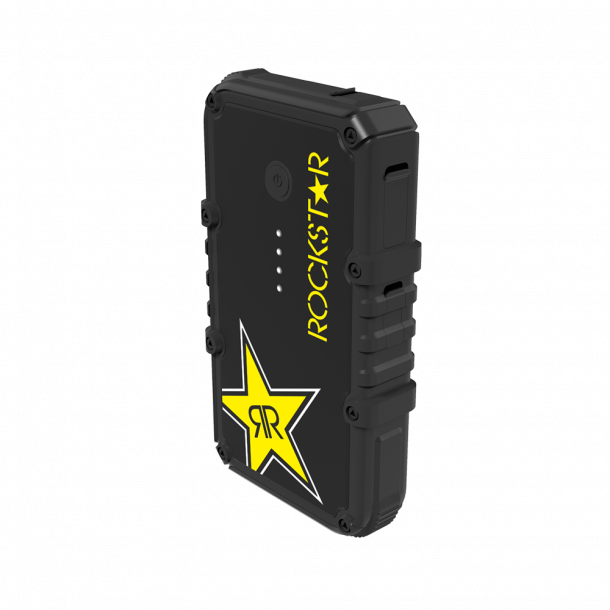 The USB battery pack is a Rockstar Edition rugged portable backup battery for charging your device in the outdoors. It's extremely rugged, with an IP67 waterproof/dustproof and Military Spec 810G Drop/Shock construction. This rugged backup battery has been built and tested to endure the rigors of the outdoors. The rigid high-impact polycarbonate housing earned the GoBat a Military Spec 810G Drop/shock rating. We have put this battery to the test. Dropping, kicking, throwing, even running it over with Jeeps in Moab, UT. We have yet found an everyday scenario that may damage the GoBat 12000. IP68 waterproof/dustproof is another great rating this battery has earned. With the watertight flap, this battery is protected from dust ingress, and long-time water immersion up to 3 meters. With a 10400mAh internal rechargeable battery, you virtually have days worth of power for your mobile devices. This rugged waterproof backup battery can charge an iPhone 6 up to 6 times. Take this battery on any trip and never have to worry about your mobile device dying! The GoBat 10K comes partially charged right out of the box so you can plug-in and go! Dual USB ports(2.4A & 1A) give you the fastest charging speed possible. Some of the latest mobile devices have been designed to charge at 12 Watts, making this rugged backup battery the ideal backup battery for these devices. Optimized charging circuitry will not cause any harm to less powerful devices - iPhones and iPods will also charge at the fastest speeds possible. This battery is designed with a zero self-discharge circuitry that will hold a charge for years. With the built in LED battery life indicator, you can always see just how much battery is left. A micro-USB cable is included.